Um, I’m not sure that I liked this. I always equate ramen with dark, rich, warm, savory, comforting flavors. The yuzu and mizuna gave this soup such a bright citrusy-y flavor that it seemed odd to me for ramen. 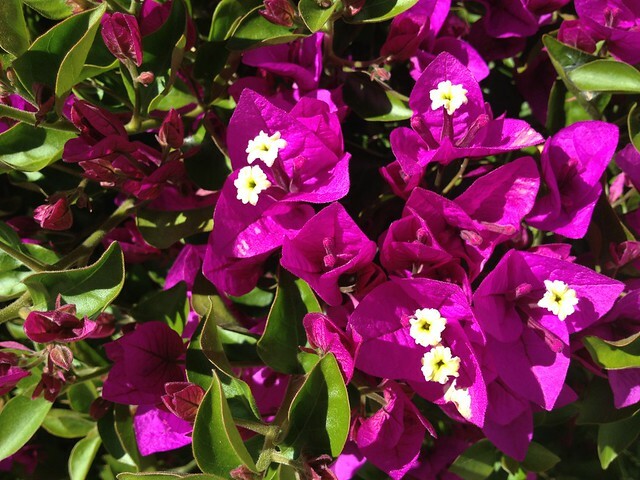 Purple bougainvillea flowers (Nyctaginaceae), 24th Street. This is a popular garden plant in San Francisco! We even have a large one in our back yard. 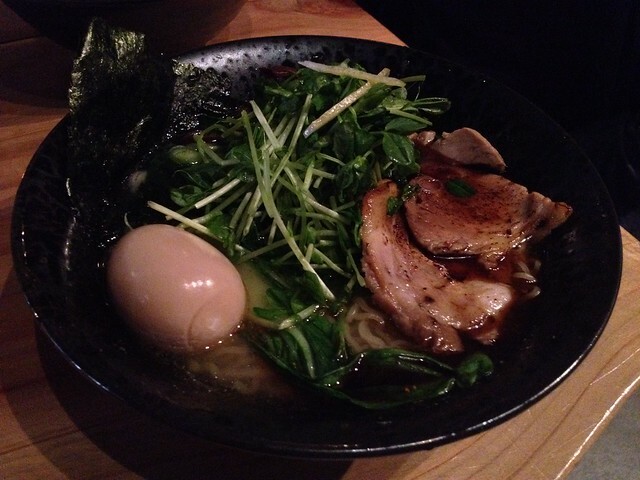 This entry was posted in Ken Ken Ramen, Restaurant and tagged egg, Japanese, mizuna, pork, ramen, soup, yuzu by vicentesf. Bookmark the permalink.